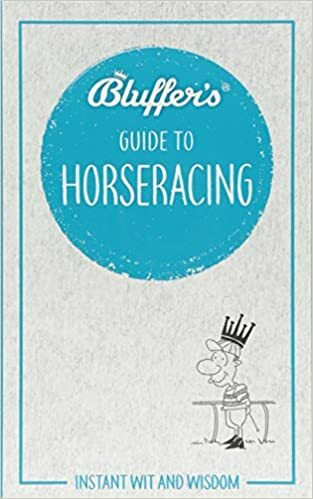 Instantly acquire all the knowledge you need to pass as an expert in the world of horseracing. Know what to say, what not to say, what to back, when to bet, and why you should never be tempted to invest in a thoroughbred without enquiring if it has `got a leg’. Never again confuse an exacta with a trifecta, a hurdle race with a steeplechase, or an ante post with a winning post. Easily distinguish between `going’ that’s `good to soft’, or `heavy’, or not going at all as in the case of a racecourse that’s just closed. Bask in the admiration of your fellow racing aficionados as you pronounce confidently on a range of turf-related issues, and hold your own against the most arrogant and dismissive of so-called racing experts. Written by experts and offering readers the opportunity to pass off appropriated knowledge as their own, the Bluffer’s Guides provide hard fact masquerading as frivolous observation in one witty, easy read.